day at the beach have will literally be a wash out and I actually haven't a clue as to what we will do. Any ideas? I think it will most likely be spent inside watching the rain along with funny movies and one of these dishes cooked inside. These are ten of my favorite grilled main dishes that I actually make all year round. Each one can all be modified to be cooked in the oven. I have to say my favorite is the Surf and Turf Grilled Burrito. I have this thing with stuffing all sorts of yummy things into a tortilla and grilling it. My daughter would rather have a cheese quesadilla any day over a grilled cheese sandwich. Wishing everyone a safe and happy 4th! Labels: BBQ , Beef , Chicken , main course , main dish , Pork , seafood. These all look so delicious! Luckily, it didn't rain during the fireworks here last night but it has been raining off and on for the past couple weeks. Hope you have a great weekend and now following on Twitter! 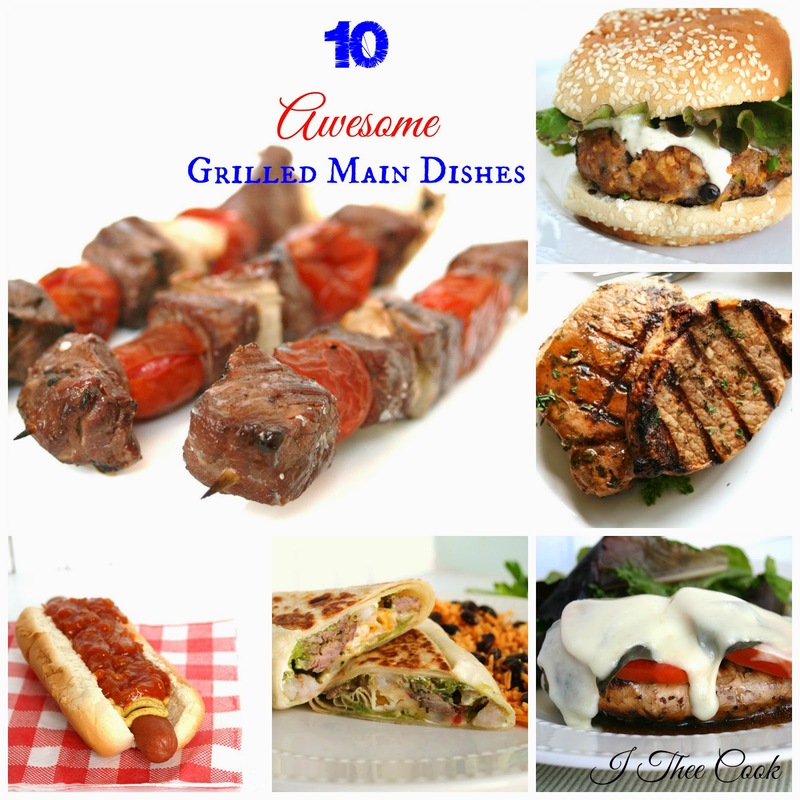 This is a great collection of Grilled Main Dishes, can't wait to try some of them. Hope you have a great week and thanks so much for sharing with Full Plate Thursday. Pinned to a roundup board... great meals here. So glad you are part of foodie friday.